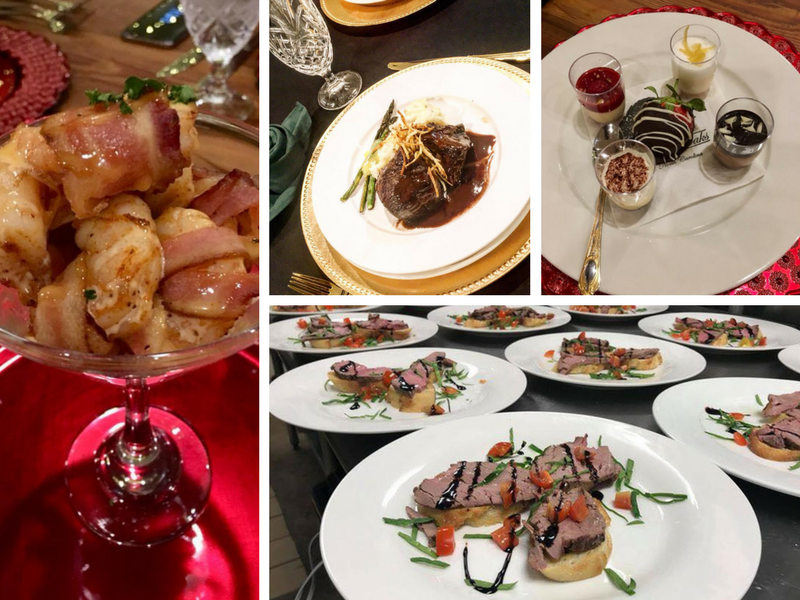 At Thorndale Oaks, we are honored to serve our guests with delicious, unique foods custom tailored to meet the specific requirements and mood of your wedding, private event, or corporate affair. Our culinary staff has a variety of appetizers, entrees, and desserts to satisfy all of your guests. From serving an elaborate and varied wedding buffet for 150 guests, or simple and sweet box lunches for 25 private event-goers, Thorndale Oaks offers plated meals, buffets, and off-site catering options for up to 300 people. Our Executive Chef has a different approach to weddings: we get to know you on a personal level to work together in creating a shared vision for the food for your wedding day. At Thorndale Oaks, we make every aspect of your wedding day special and distinctive. Whether you want classic southern cooking or something more modern and light, we can do it all. Relax and enjoy your special day knowing Thorndale Oaks will have your guests happy with their delicious cuisine and beautiful food presentation. Sophistication and professionalism aren't all we bring to the table for your corporate events. As with all of our clients, your event catering begins with your personal mealtime vision. Together, we help you design a menu that everyone is sure to enjoy. Do you have more questions or ideas?